Comprising six bureaus and 13 offices, the US Health Resources and Services Administration (HRSA) provides leadership and financial support to health care providers in every state and U.S. territory. HRSA grantees provide health care to uninsured people, people living with HIV/AIDS, and pregnant women, mothers and children. They train health professionals and improve systems of care in rural communities. 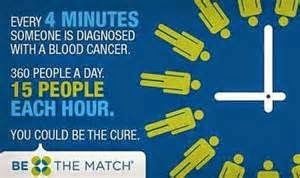 But that also have a role in funding the National Bone Marrow Registry that came a vital part of my life about eight years ago.